Hello my lovelies! It's Saturday and I woke up bright and early because I couldn't sleep, given that I got used to waking up early this week. It's ok though because I have this post to write for you. The TPA Group Challenge is back! We had a break over the holidays and then I skipped last week's theme because I didn't have time to do the mani. 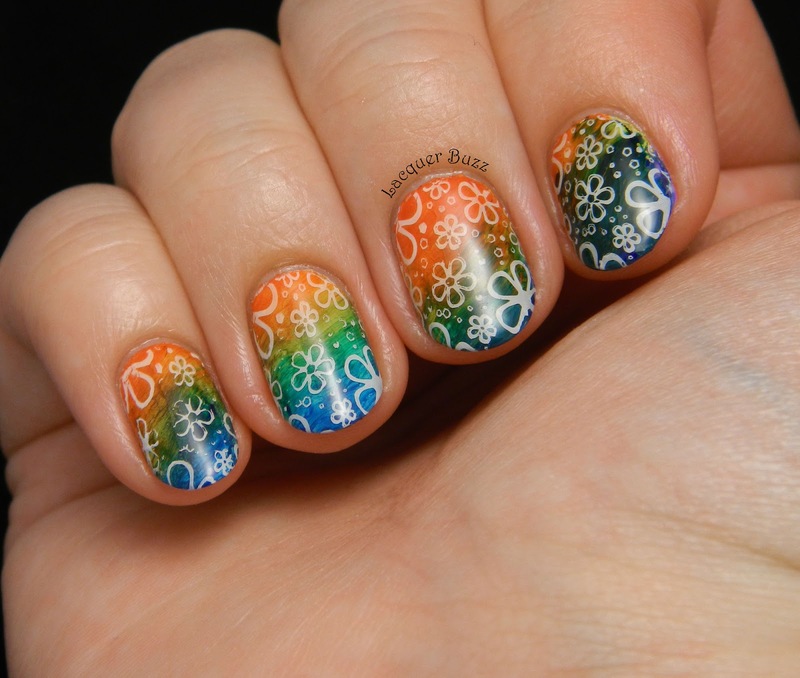 I did manage to do it for today's theme, which is hippie nails. Fun, right? Before we get to the actual manicure, let me tell you that TPA (The Polish Addict) now has a Facebook page too. 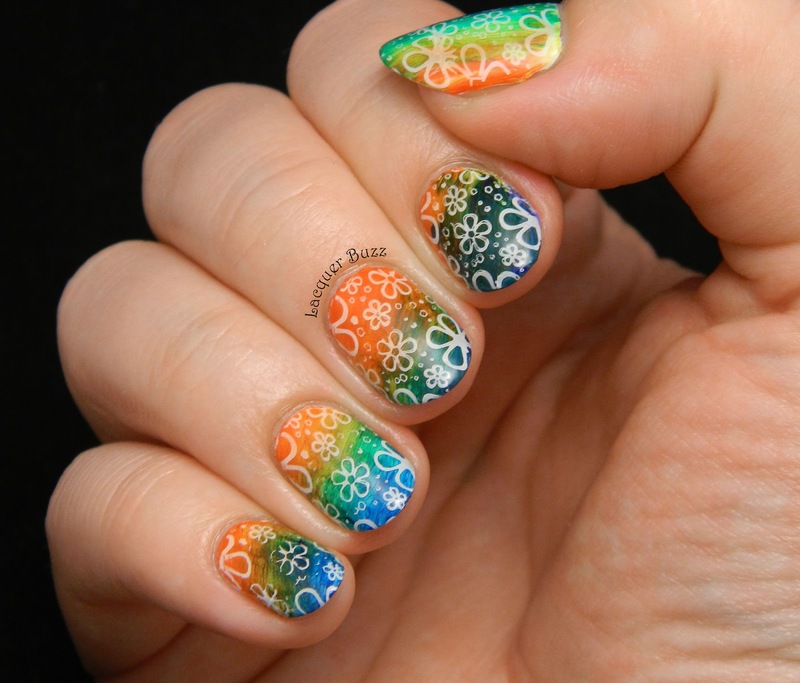 Check it out here, like it and you will get to see lots of amazing nail photos. 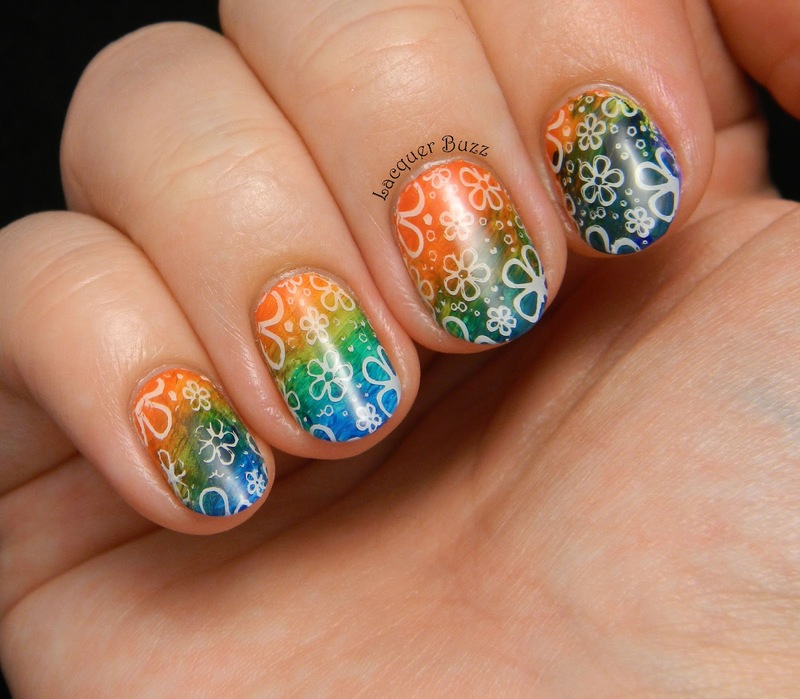 Now let's see my attempt at hippie nails. I'm not sure if these fit the theme properly but I did my best. I incorporated two important elements from the hippie culture: colors and flowers. I wanted to add the peace sign too but I thought it was too much so I left it like this. These bright and colorful nails were just what I needed after a week of wearing muted colors for work. 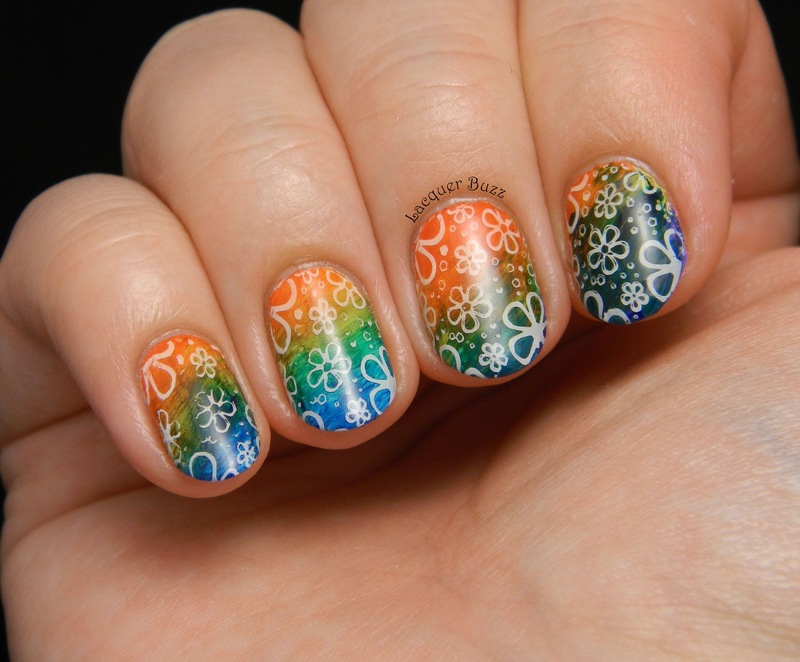 To create these I started with a white base and then used acrylic paints and a fan brush to make a rainbow on my nails. I couldn't fit all the colors on my nails and they started mixing on the brush, so each nail looks a little different. After it dried, I applied a coat of Seche Vite and cleaned the paint from around my nails with soap and water. Finally I stamped an image from plate CH12 with Konad White, added another coat of Seche and voila. I love hippie stuff and tie dye.. so i love these! so pretty! I like that they appear to be simple, but they are not that simple... :) love them! Thank you, Marisa! Glad you do! Superb modelul. Imi place fundalul foarte mult.